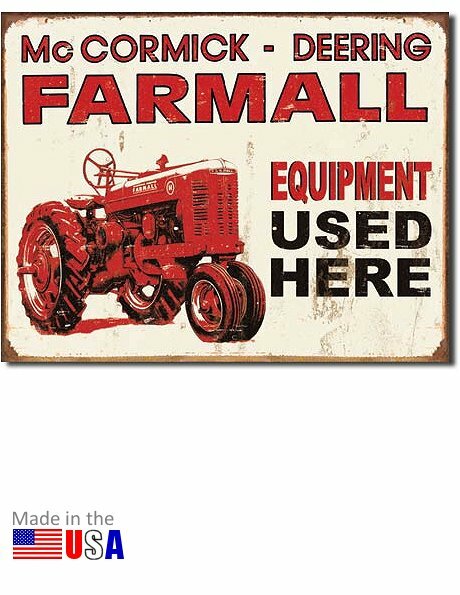 This McCormick-Deering Farmall tin metal sign, is the perfect decoration piece for the home, office, family room or garage of the Farmall lover and enthusiast. This is a metal sign, made in the U.S.A. Measures 16 inches wide by 12.5 inches high. UPC: 6-05279-11278-4 | Part No. 1278. Ask a question about "Farmall Equipment Used Here" Tin Sign.